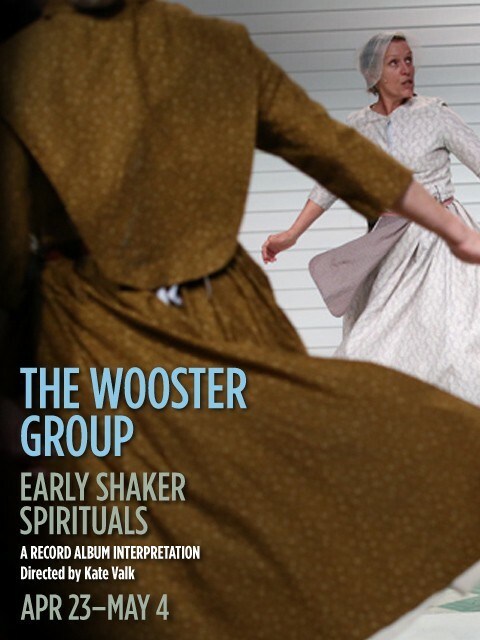 The Wooster Group channels songs and finds inspiration for a series of dances from the 1976 LP, Early Shaker Spirituals, recorded by Sisters of the Sabbathday Lake Shaker Community. Featuring Cynthia Hedstrom, Elizabeth LeCompte, Frances McDormand, Bebe Miller, Suzzy Roche and Max Bernstein, Matthew Brown, Modesto Jimenez, Bobby McElver, Jamie Poskin and Andrew Schneider. Set: LeCompte and Jim Clayburgh. 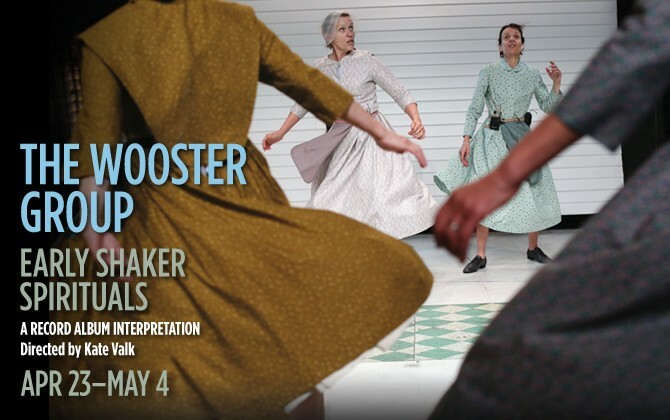 The Wooster Group and the historical museums at Hancock Shaker Village and Shaker Museum | Mount Lebanon invite you to opening night of Early Shaker Spirituals for a special performance followed by a reception with the cast and company. EARLY SHAKER SPIRITUALS photo by Paula Court. American theater’s most inspired company.